It takes a team effort to be recognized year after year as the #1 Real Estate team in Leelanau County and Melanie is an integral member of Schaub Team. Melanie proves her value to clients by assisting homeowners with staging their homes to sell and creating personalized marketing packets which includes photos, descriptions & detailed information about the property. For clients who are looking to purchase, Melanie will put her 18 years of experience in the industry to use, guiding them in their search for the perfect property. She is frequently praised for her attention to detail and her outstanding customer service. Melanie provides frequent updates for clients, notifying them when homes are newly listed in order to be the first to react on that property that completes their wish list. After finding that new home, the work does not stop for Melanie. She will assist clients with their pending purchase by walking them through the entire closing process to ensure a smooth transaction. Selling or buying a home can be stressful. Melanie believes that timely communication and attention paid to details helps ease the anxiety and leads to success. Her sincere approach to managing the Schaub Team clients’ best interest has proven to be the key to a positive experience for many investors. Melanie is a proud mother of two wonderful children and loves spending time with her family in Leelanau County. Some of their favorite activities are hiking in the fall, cross-country skiing in the winter, and spending summer days at one of the many beaches along the Leelanau Peninsula. 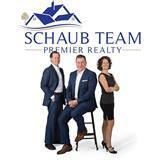 Contact Melanie at 231.883.5555 or Melanie@SchaubTeam.com.